Far and away the highlight of the year for Sega fans was the crowdsourced revival of Shenmue III, once a Sega property and now independently in the hands of franchise creator Yu Suzuki. Once its Kickstarter opened it shattered numerous records. This week, those records were officially recognized by Guinness. In a post to the game’s Kickstarter page, Ys Net revealed Guinness awarded Yu Suzuki with two world records: The Most Money Pledged for a Kickstarter Video Game for the more than $6.3 million raised on the service, and the Fastest $1 Million Pledged for a Crowdfunded Video Game. 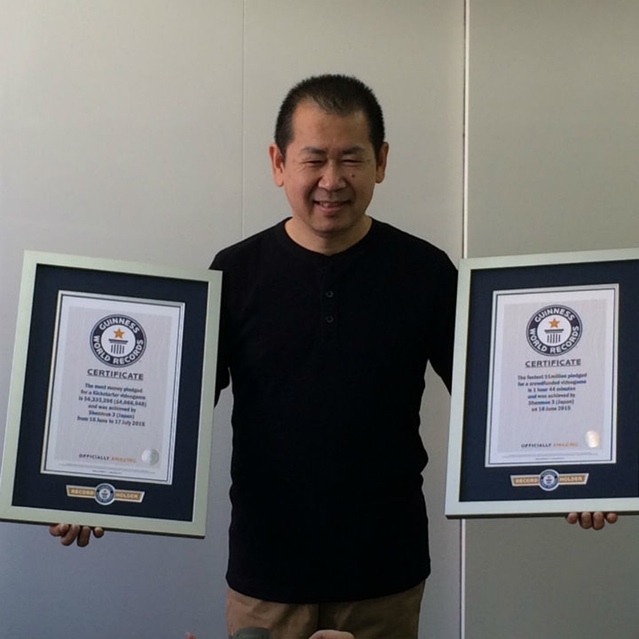 It is official now, Shenmue III is in the Guinness World Records. The good people from Guinness World Records paid Ys Net and Mr. Suzuki a visit a few days ago to hold an impromptu ceremony and present the certificates for “The most money pledged for a Kickstarter video game” at $6,333,296, and for “The fastest $1 million pledged for a crowdfunded video game” at 1 hour 44 minutes. You can still back Shenmue III’s development via Paypal. That collection lasts until the end of the year.